Like my work? Get in touch, I’ll be happy to work with you! 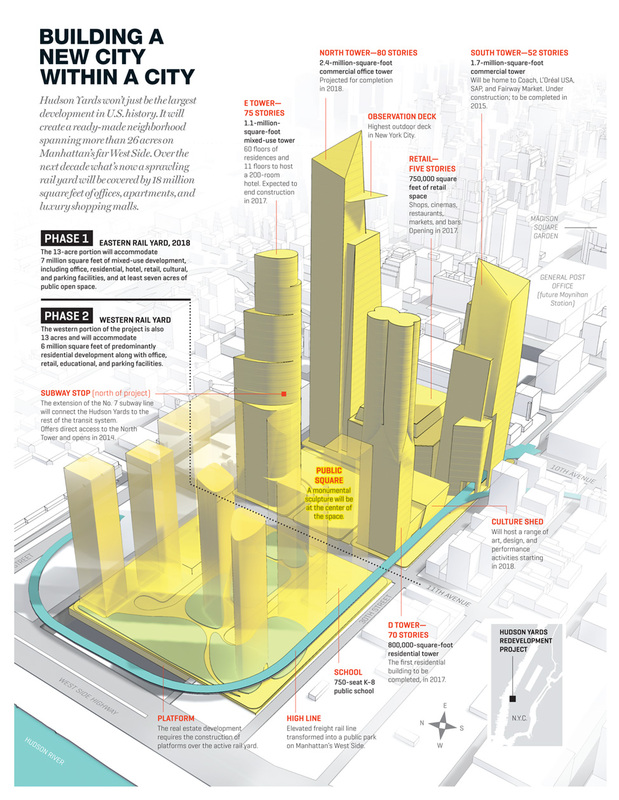 With the $20 billion Hudson Yards development, billionaire developer Stephen Ross is set to reinvent a huge swath of New York City. It won’t just be the largest development in U.S. history. It will create a ready-made neighborhood spanning more than 26 acres on Manhattan’s far West Side. Over the next decade what’s now a sprawling rail yard will be covered by 18 mil­lion square feet of offices, apartments, and luxury shopping malls.